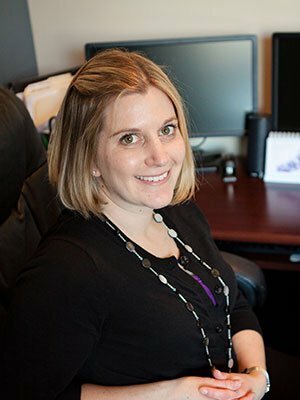 Ellen is the Director of Operations at Dorval & Chorne Financial Advisors and has been part of the team since 2006. She earned her series 7 registration in 2008 allowing her to help process trades and become more involved with client service. She works primarily with Dan's clients as the servicing side client relationship. Ellen graduated from Minnesota State-Mankato with a degree in communication. She lives in Rogers with her husband Kyle, their two children Natalie and Levi, and their German Shorthair, Stanley.